Prep for Let's TESTMNL! - Community Based Screening: What is it and how is it done? 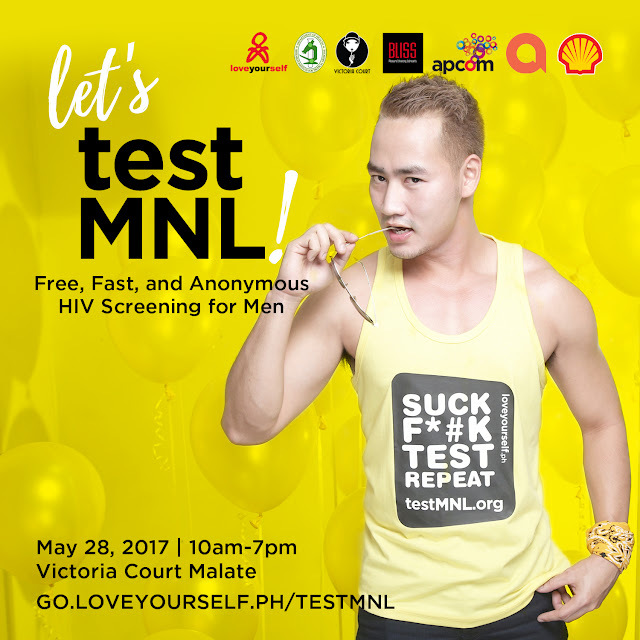 Let's TESTMNL!, LoveYourself and TestMNL's fast, easy, and anonymous HIV testing event is happening on May 28, 10 a.m. to 7 p.m. at Victoria Court Malate. To register, log on to go.loveyourself.ph/testmnl. Want to know how the test will be conducted then? Read on to find out. 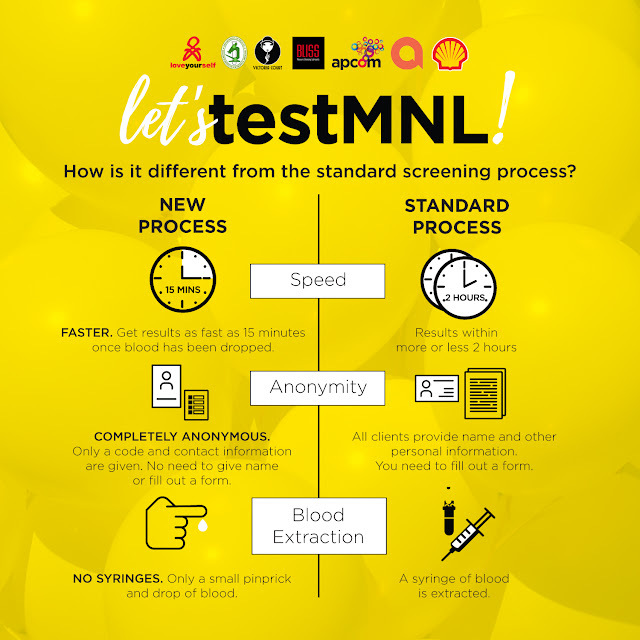 LoveYourself has embarked on a great change, adapting a quicker and more efficient way of testing for HIV in its HIV testing day events - Community Based Screening (CBS). 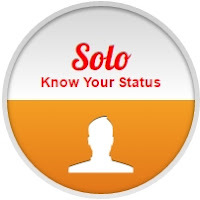 It was first used in the May 2016 Incognito testing which served 300 clients, so far the most successful turnout for any LoveYourself HIV testing day event. The advances in the time required to obtain results with high levels of accuracy have allowed LoveYourself to offer its past Incognito events and the upcoming Let's TESTMNL! as quick and efficient, promising results in 15 minutes from the time of the collection of blood sample. 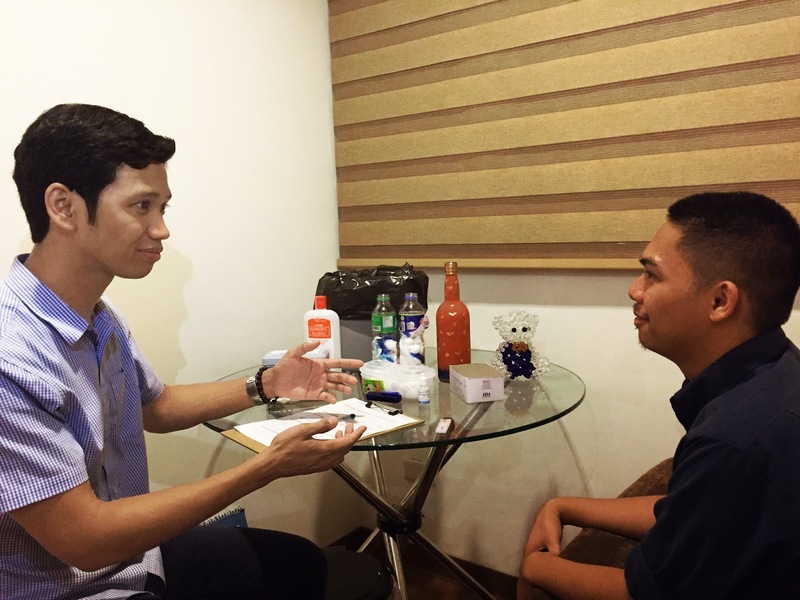 The decision to shift from Standard Testing Protocol to Community Based Screening was due to a large number of repeat clients getting tested in the LoveYourself clinics. 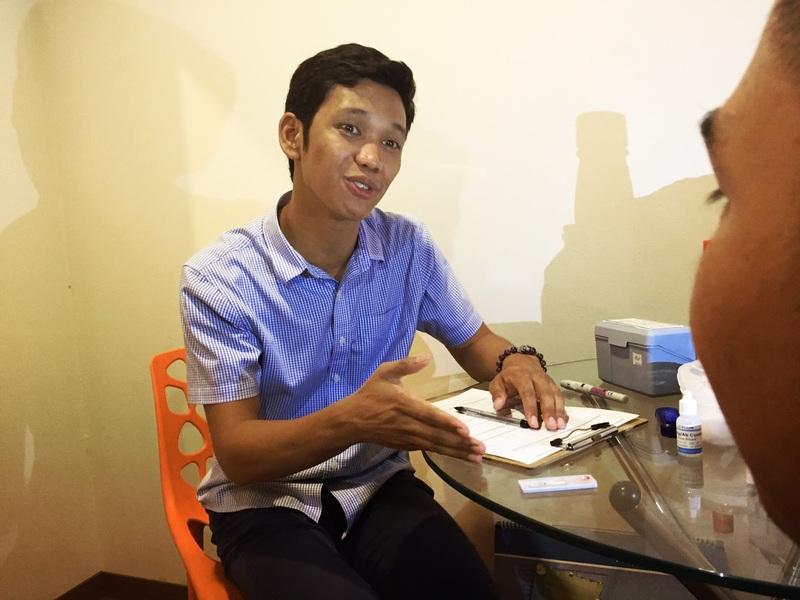 This was a response to the need to reach more people for HIV testing, and entailed moving out of the clinics to locations more accessible to target groups. These people include those living far from a testing center, those who are still afraid of the probable stigma that comes with testing or going to a HIV testing clinic/facility, those with tight schedules or live on subsistence and cannot miss a single day from work, and those who are simply uninformed or misinformed. The shift was also due to the long waiting time - around one to two hours - with standard testing compared to the 15-20 minute processing time of the Community Based Screening method. In LoveYourself, we use the immunochromatographic assay kits for our Community Based Screening which is effective in detecting HIV 1 and 2 antigens or antibodies. This is essential in detecting the infection early and linking the client to treatment, care and support. The kit has also been approved by the Word Health Organization. With Community Based Screening, we hope to eliminate the shortcomings of standard testing and give our clients another option. This new method does not require a licensed health professional to examine the blood sample. You would only need a test kit, a reagent, and a trained change agent or a counselor who underwent Community Based Screening orientation. This new method also requires less time to test the sample - from one to two hours, the process is complete in just 15-20 minutes! LoveYourself envisions our trained counselors going to untapped populations directly with kits on hand for testing, leaving less Filipinos left unaware of their HIV status. Community Based Screening using the immunochromatographic assay kit involves a few simple steps. First, your finger is disinfected and pricked with a sterile lancet, which is properly disposed as biohazardous waste afterwards. Then, blood from the finger is dripped onto the test kit with a reagent. This procedure provides the same quality (specificity and sensitivity) of results as what standard testing provides, only with less blood and less time. The kit will reveal the results in 15-20 minutes. 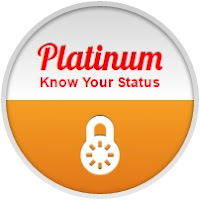 While waiting for the results, your counselor will talk you through the entire process of CBS and discuss salient information about HIV, AIDS, and sexual health management. Clients are also provided time to ask any questions regarding the test. It is important to note that with Community Based Screening, you will only be tested for HIV 1 and 2, and you won’t be given a printed copy of your results. You would have to go through standard testing provided in LoveYourself Uni or Anglo should you wish to have a print out of the results for reasons such as employment services. Moreover, you can have yourself tested for Syphilis and Hepatitis B. Similarly, if your results from Community Based Screening turn out to be reactive for either or both HIV 1 and 2, you will need to undergo a confirmatory test and eventually be recommended for treatment through our resident doctor if the result is still positive. For testing at LoveYourself’s clinics at Anglo and Uni and at our HIV testing day events, HIV testing is open for all regardless of age, gender, race, or socioeconomic status, provided totally free of charge. All personal information collected will be handled with strict confidentiality. If you want to get tested or try the Community Based Screening yourself, then you can sign up for Let's TESTMNL! happening on May 28. Just register here: go.loveyourself.ph/testmnl. For more information about the effectiveness of Community Based Screening test kits please click here. This story was originally published on November 14, 2016. Updates were made by LoveYourself editors.